Empire Seven Studios owner, Juan Carlos Araujo, partnered up with local artist Sam Rodriguez to have a mural painted at the intersection of 7th and Empire Streets, located in San Jose’s Japantown. Araujo wanted to bring some positive attention to his neighborhood by having a large mural painted on the side of a building. Rodriguez, who works as a graphic designer for Cukui Clothing, was eager to be a part of the project. 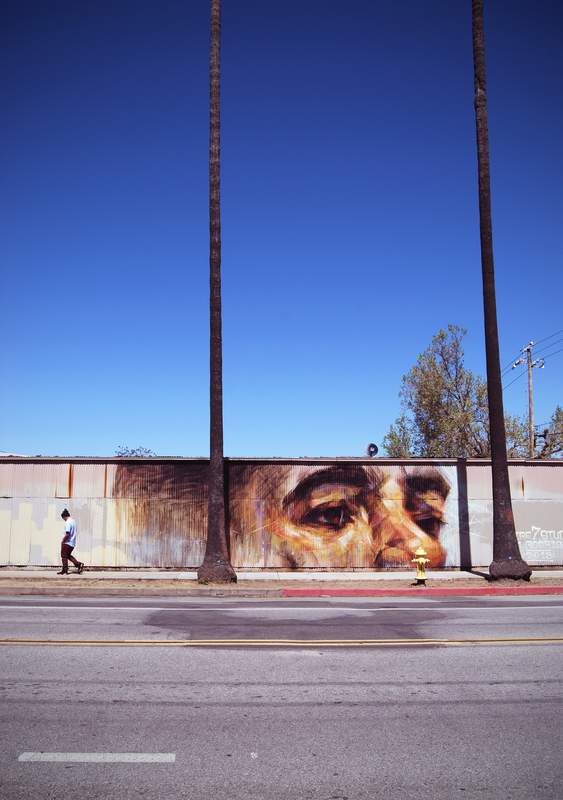 The mural, which took a week from conception to completion, shows a man’s expressive eyes looking outwards. 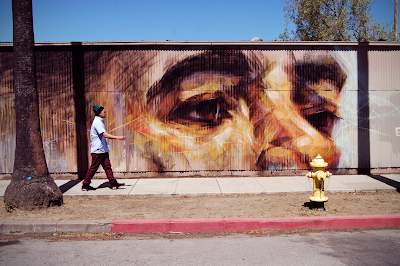 Rodriguez used spray paint for his artwork, which was painted on corrugated aluminum. Also known for his work as a graffiti artist, Rodriguez says he had to gain confidence at first with his more recent artistic style before doing such a large project. As for the subject of his mural, the artist would not specify. “It’s open to interpretation,” Rodriguez says. For more information about Empire Seven Studios or Sam Rodriguez, please email empiresevenstudios@yahoo.com or call Empire Seven Studios at 408.638.7846. Just a note, its 7th and Empire, not 11th. Japantown extends to 11th street now?